Choosing Etienne was not difficult at all, his photographs capture the essence of the day in the most natural way. We are not people that like to pose and Etienne's stalker technique (his words :-)) was just so easy to adapt to. Thanks Etienne, we hope the shoes did wash! We can not recommend Etienne enough! He travelled to France for our wedding and captured the day brilliantly. He had great ideas and recommendations but was happy to accommodate the group shots we also wanted. His style is very natural and half the time we didn’t even know he was there! We love our wedding photos, thank you again Etienne!! From looking at Etienne’s portfolio we had no difficulties in choosing him to capture our big day. He was accommodating and advised us as to how to get the best pictures of the day. We couldn’t recommend Etienne enough. On the day he was amazing (even stepping in to untangle a bridesmaids necklace) He got all the pictures that we would’ve missed. We love our photos and will treasure them for years to come! Thanks Etienne! Massive Thank you to Etienne. We are super pleased with our photos, you captured our wedding perfectly! We really love the style of photography and Etienne’s calm and organised approach ensured we had some really special snaps. We would without a doubt recommend Etienne. Big thanks again from The Hicks's. We couldn’t thank Etienne enough for the photos of our day. When we had the meeting before the wedding he got everything we wanted, which meant he captured the day beautifully, with the most natural shots. You wouldn’t have noticed he was there and he sent all the edited photos in no time. Lovely guy and we couldn’t be happier with the results. We are extremely happy with Etienne‘s photos of our Wedding! Given that the weather conditions were against us on the day - lots of rain - we were rather astonished at just how he managed to capture quite so many fantastic outside shots in a short space of time, and given the conditions too. Etienne organised us on the day with helpful suggestions and input, which made everything flow easily and effortlessly for us. Plus, he got the photos to us incredibly quick and so we were able to enjoy them whilst on our honeymoon. Professional, easy to deal with and highly recommended! We couldn't be happier with the photos of our wedding day. Etienne put me and my wife at complete ease and made the whole process of capturing our day run perfectly smooth and without any hiccups. Not only that but our photos were ready and sent to us in under a week. We can't recommend Etienne enough and are so grateful for his time, skills, energy and expertise. Thanks Etienne, from Mr and Mrs Cluett. Wow wow wow! If your thinking about using Etienne for your special day, then do it...you will not be disappointed! Having met with Etienne before hand we instantly knew we had the right man behind the camera for our day, capturing all the natural, candid photographs that we hoped for and all the little details and facial expressions that we might have missed, these are special memories that will last a lifetime! Thank you Etienne, we couldn’t have asked for anything more! Neither of us are very comfortable in front of a camera, but Etienne kept us at ease and ensured our photos from the day were wonderful. We liked his candid and relaxed style of photography as it suited us both. He was also very helpful in the planning stages of the wedding, offering advice on things we hadn’t considered, ensuring our day went smoothly. The transparency of the costs and his professional yet relaxed attitude was also very helpful when planning the day. Highly recommended! Having worked with, and for, many photographers, there was never any doubt in my mind as to who I wanted to photograph our wedding. We knew that Etienne would deliver fantastic results and we were not disappointed. He captured our day perfectly and also helped to make sure everything ran smoothly. We couldn’t recommend him enough and have been receiving endless compliments on the quality and style of the photos. Thanks Etienne! We can’t thank Etienne enough for our beautiful wedding photos. His style of photography was just what we were looking for and really captured the vibe of our day, relaxed, fun and intimate. He had the photos ready for us by the time we got home (we live in NI and got married in Guernsey) which was the perfect welcome home surprise! He even managed to capture little details that after only a couple of days I’d already forgotten, so it’s amazing to know I’ll be able to remember them in years to come. Thank you so much again Etienne. Mr and Mrs Cotter. We cannot speak highly enough of Etienne. He captured our day in exactly the way we wanted, his photos are beautiful. He also gave me, the groom, helpful suggestions and direction above and beyond photography on the day which was invaluable. We could not recommend Etienne enough! We used him for our wedding photography and they’re incredible. He really captured the atmosphere from the day. Etienne was happy to meet to discuss any thoughts and was fantastic at organising where we wanted our post ceremony photos taken, we had a specific idea in mind and he made it possible! We also cannot fault his speed in turning out photos around. We had our photos sent through in under a week of the wedding!! If you’re planning on getting married or looking for a photographer for an event I’d 100% suggest using Etienne!! Etienne was the photographer at our wedding and put us at ease throughout the planning and on the day. We have just received the photos which we are in love with and lucky to have such amazing pictures to remember our day! We loved to have Etienne as our photographer! Etienne and his style of taking pictures is very relaxed and is makes you feel at ease. We are very pleased with the beautiful photos capturing great and natural looking moments of our Wedding day! We are so happy that we picked Etienne to take our wedding photos. We had a really small wedding and wanted things to be relaxed and Etienne was the perfect choice. He caught all the right moments perfectly and we were totally comfortable around him. He blended in seamlessly so we could just concentrate on enjoying the day, and we are so happy with all the beautiful photos we now have to remember the celebration with. I wouldn’t hesitate to recommend him to friends! Just got our wedding pics back from Etienne and they are epic!! Highly recommended, nothings a problem and high quality work is turned around in no time!! Etienne captured our wedding day perfectly, we wanted the wedding to be relaxed and that came across in all of the photographs that Etienne took. I would highly recommend Etienne to capture your perfect day. Etienne did an amazing job taking photos at our wedding. He managed to capture the most special moments in his natural style and nothing appeared too forced. He captured a real sense of the fun and enjoyment and memories which we will treasure. We could not be happier with our photos and Etienne has been a pleasure to work with throughout. We would highly recommend him to anyone considering hiring him as a wedding photographer. Thanks so much Etienne for all your hard work, our photos are perfect. Etienne captured our wedding day with a romantic vintage twist, we couldn't have been happier with the photographs! He made us both feel so relaxed on the day and captured us and our guests so naturally without the formal feel. We had a meeting in advance of the wedding to discuss what we wanted and nothing was a problem for him. He also kept us to timings on the day without any pressure. We wouldn't hesitate to recommend Etienne to anyone looking for a professional photographer. 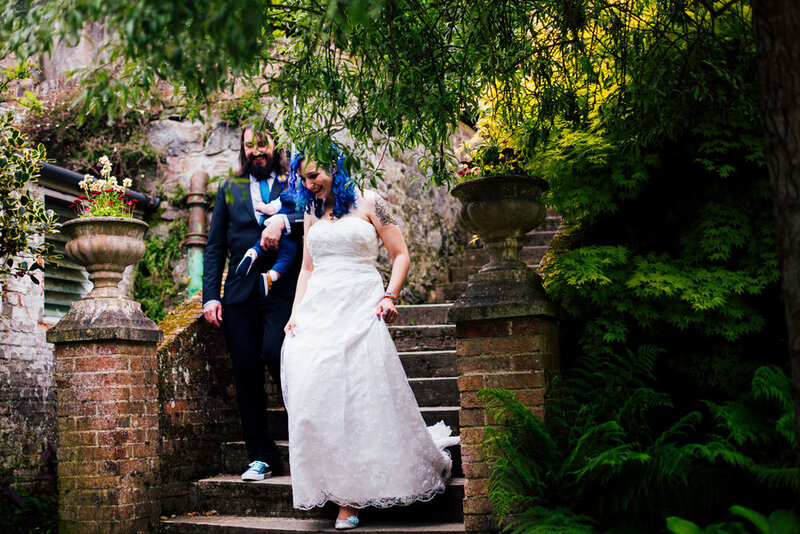 We could not be happier with our wedding photos and we would highly recommend Etienne to anyone. His natural and relaxed approach to photography allowed us to get the most beautiful pictures whilst spending as much time as possible with our family and friends! 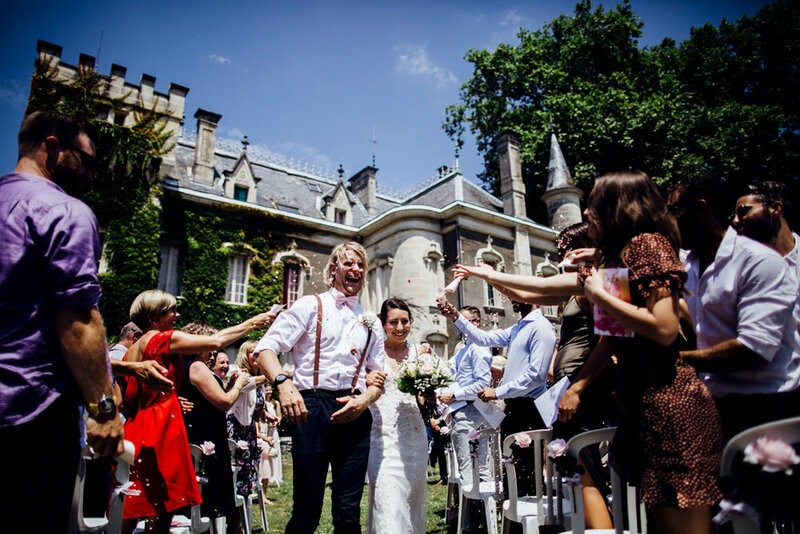 Etienne really made us feel at ease and managed to capture moments perfectly, it was difficult to be everywhere on the day, but even when we weren't aware something was happening Etienne was always there to get the shot, allowing us to relive our special day and emotions. A wedding is about you the couple and not about anyone else. It's your day. Etienne made it our day. It's impossible for us to see everything, know everything or do everything on the day and with Etienne's candid style and ability to position himself to capture the best moments, we got something special. The best way to sum it up is as we went from start to finish through over 1,000 of our images it was as if we were reliving the day, bringing back the moments and feelings. Some of the best advice Etienne gave was to limit group shots to an absolute minimum. 100% the right decision and I would implore others to heed it. Staged photos, depending on your taste, of course, just weren't for us. Overall great value for money and I wouldn't hesitate to recommend him to friends and family. Thanks for making it a memorable special day through the images you have taken. We had a great feeling about Etienne from the time of our first meeting and he did not disappoint. Etienne is diligent, meticulous and very professional and he produced amazing photographs of our wedding day. He blended in to the wedding party and delivered a massive portfolio of amazing candid, spontaneous, vivid pictures that really tell the story of the ceremony and party. Etienne was generous with his time and scouted out the locations in advance so that he could capture every moment and emotion! Finally, he tailored the style and colouring of the photographs exactly to our taste. Thank you Etienne! Etienne did the photography for our wedding in June. Would really recommend him. He captures the day without making it solely about photos - something that we were really keen on! Got some great snaps whilst barely noticing him photographing. 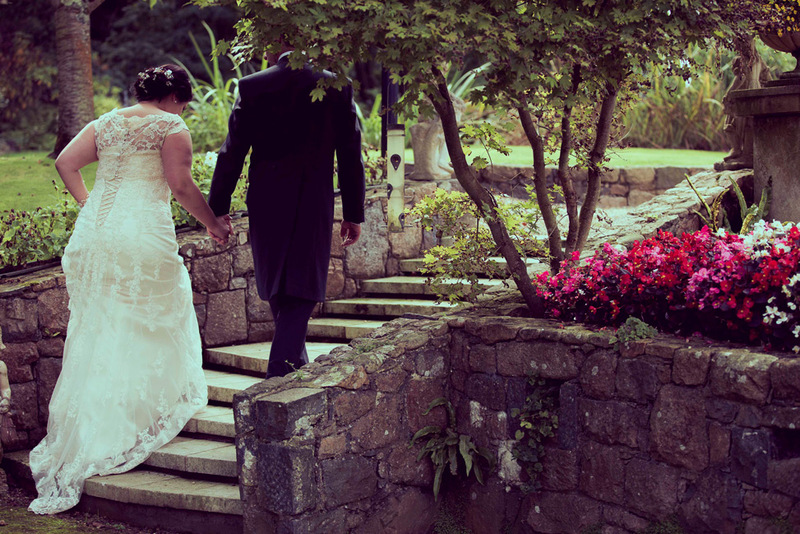 We organised a very special wedding in June on Guernsey and Etienne Laine was the photographer. Apart from being a very nice guy and a true professional he also took fabulous photographs. We decided to go with Etienne Laine because we loved his unique style of photography. From the very first meeting he was friendly, creative and even suggested a few money saving ideas. The communication between us was enough to get every single detail agreed and turned around quickly. Considering the quality of his work and all the extra bits he threw in, he was a very reasonably priced wedding photographer. He even printed one of the photos on the day of the wedding, framed it and slipped it in with our other gifts! A nice touch we thought. We would highly recommend him for any photography work you might need. Thank you so much for the beautiful photographs you have taken for us. Scott and I have just looked through them and are delighted with the end results! They were exactly what we were hoping from our wedding photographs. We love the natural and effortless look to them and they capture the mood of the day brilliantly. Thank you for being so flexible with the arrangements and we were extremely impressed that you captured our wedding day without imposing upon it. 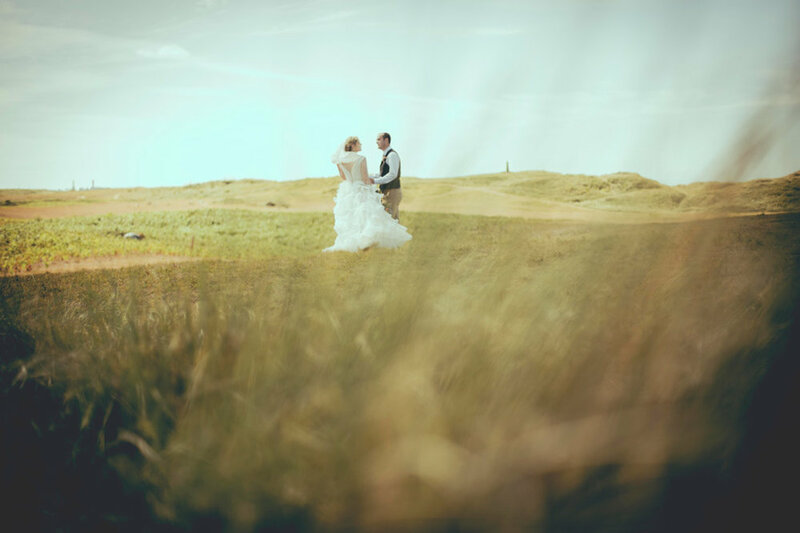 You have given us fabulous photos to remember our day by and we have no hesitation in recommending you to anyone! Thank you once again. Some while ago, I was lucky enough to recognise Shutter man Etienne Laine’s huge talent and passion for photography when we first met . Back then, he was bringing in some new and edgy style photography styles and we have commissioned him many times over the years to shoot for La Grande Mare Hotel, Golf and Country Club. Etienne continues to impress at every session and is, I feel, bringing an extra value to our product be it our Restaurant food, Hotel Rooms, staff members ,Golf course and Health suite or any other subject he chooses to capture. I had no hesitation in getting him to cover my own Wedding reception recently and was delighted with the results. Thank you so much for being a big part of our day Etienne! 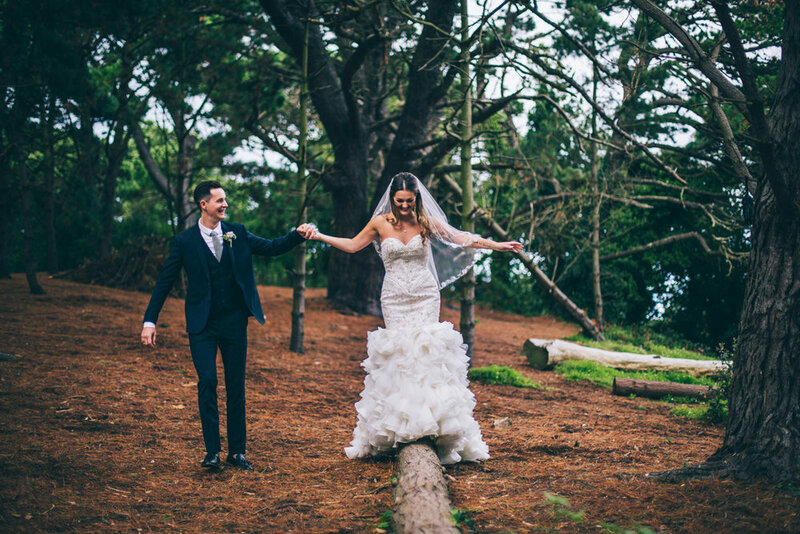 We couldn't be happier with how you captured the day and all the special memories within it. Étienne took our photos for our wedding. We had never met him before he came to our house for a consultation. He immediately put us at ease and his easy going nature reassured us that we would have the type of pictures we were looking for. Etienne's style of photography captured the atmosphere and energy of the day which was exactly what we wanted. He went above and beyond and we have some wonderful moments captured that I didn't even realise he was there to take, he blended in so well!! Thanks Étienne for all the hard work. Etienne took a lot of photos of the wedding and the reception we are very pleased with them! Etienne captured some absolutely beautiful images of our wedding and I couldn't be anymore impressed by the quality of the images and service! Etienne has the most amazing talent for capturing the moment, not just the big "ring going on finger" stuff but the sideways glances moments too. We love our photos, we treasure those captured moments. We chose Etienne for our wedding photographs because I have worked with Etienne before on commercial photography. He has a great eye especially for portrait work, his ideas are a little different and he likes to capture the moment and not stage the shot. We were really please with the end result and would not hesitate to recommend Etienne for wedding photography. We cannot recommend Etienne highly enough. In the best possible way, Etienne was invisible at our wedding and the beautiful photos he took captured the happy memories that we have of the day. Thank you so much for being Kelly & Pete’s photographer on their special day!!! You were so patient Etienne even when all organisational plans went completely out of the window! !